Decubitus ulcers are also referred to as pressure sores, bed sores or decubiti. They are ulcerations of the skin that can progress into the underlying tissue. As experienced Chicago nursing home abuse and neglect attorneys we have handled many nursing home cases involving bedsores. Bedsores are caused by to the loss of blood flow and nutrition to the area because of the pressure that occludes the blood supply to the tissue. Decubitis ulcers are frequently seen in the elderly who or bedridden or have difficulty changing position or moving in bed. As a Chicago nursing home injury lawyer, I realize that a number of conditions can predispose the elderly to develop decubitus ulcers. The main cause is constant pressure to an area. Other predisposing factors are moisture, break in the skin surface, poor nutrition, decreased or impaired circulation to the area, thinning of the skin, loss of or decrease subcutaneous tissue and adipose tissue to pad the boney joints (hips and major joints), lack of sensation in the area so that the patient cannot feel the tingling or pins and needles of pressure, and the presence of pathogenic microorganisms or bacteria. The early symptoms of pressure sores are redness or whiteness of an area, tenderness, unpleasant sensations in the area, burning, feeling of pins and needles, coldness of the area, and swelling. Decubitis ulcers are prone to infection. Moist, poorly nourished tissue is a good place for the growth of bacteria. Pressure sores are a challenge for the medical provider to cure. Often they are larger inside than they appear on the outside. 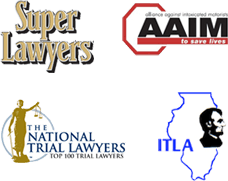 As a Chicago nursing home neglect attorney, I understand that preventative measures are critical in preventing nursing nursing home bed sore injuries. Change the patient's position every two hours. Allowing another body surface to bear the weight. Alternate between the prone, supine and right and left side-lying positions. Range of motion exercises to promote circulation. Proper Hygiene. Keep the skin clean and dry. Protect damaged skin. Damaged skin can be further ulcerated and irritated by urine, feces, sweat. Maintain hydration of the skin. Clean linens. Make sure the bed surface is a smooth, firm, and free of wrinkles. Frequent massage of bony prominences and pressure areas such as heels, ankles, iliac crests and sacrum. Use of foam rubber pads and sheepskins under pressure areas such as the sacrum and heels. Special pressure mattresses were indicated.